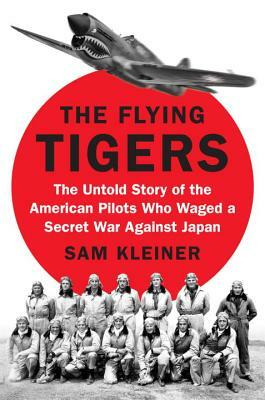 Sam Kleiner, "The Flying Tigers"
Kleiner takes readers into the cockpits of their iconic shark-nosed P-40 planes—one of the most familiar images of the war—as the Tigers perform nail-biting missions against the Japanese. He profiles the outsize personalities involved in the operation, including Chennault, whose aggressive tactics went against the prevailing wisdom of military strategy; Greg “Pappy” Boyington, the man who would become the nation’s most beloved pilot until he was shot down and became a POW; Emma Foster, one of the nurses in the unit who had a passionate romance with a pilot named John Petach; and Madame Chiang Kai-shek herself, who first brought Chennault to China and who would come to visit these young Americans. A dramatic story of a covert operation whose very existence would have scandalized the isolationist United States, The Flying Tigers is the unforgettable account of a group of Americans whose heroism changed the world, and who cemented an alliance between the United States and China as both nations fought against seemingly insurmountable odds. Sam Kleiner is a lawyer based in New York City. He was raised in Tucson, Arizona and holds a BA from Northwestern University, a doctorate in international relations from the University of Oxford, where he was a Marshall Scholar, and a JD from Yale Law School. His writing has appeared in the Los Angeles Times, Foreign Policy, and The Atlantic. If you're unable to attend the event and would like a signed copy of The Flying Tigers, please purchase the "Signed" version below.